Добавить в корзину 5 шт. на сумму 310 руб. The FDMA1028NZ is a dual N-channel PowerTrench® MOSFET designed specifically as a single package solution for the battery charge switch in cellular handset and other ultra-portable applications. 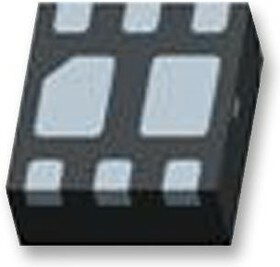 It has two independent N-channel MOSFETs with low ON-state resistance for minimum conduction losses. When connected in the typical common source configuration, bidirectional current flow is possible. The MicroFET thin package offers exceptional thermal performance for its physical size and is well suited to linear mode applications.